← Thyatira. The church of the dark ages. The penultimate church on the Book of Apocalípsis deserves, near Izmir, considering example for believers. Located in a fertile plain where the vines grow, modern Alaşehir is a small city far from tourist routes but receives many visitors due to its appearance in the New Testament. 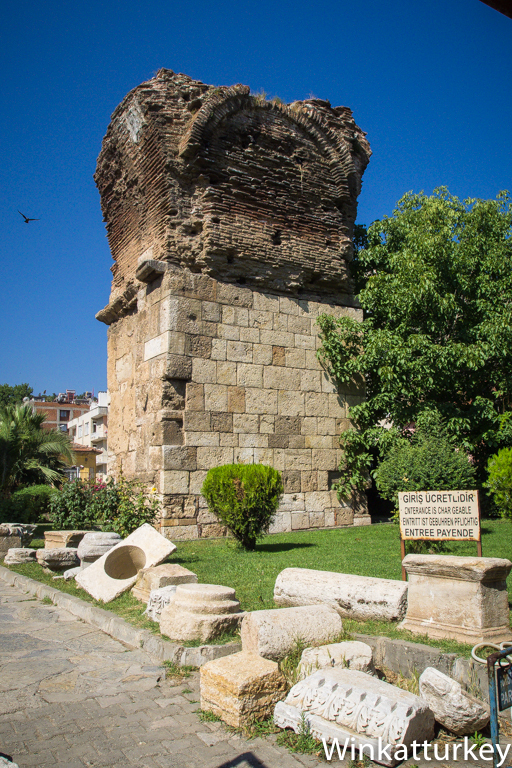 You can still visit the remains of the Byzantine basilica and a small section of the wall. Philadelphia was founded in 189 BC by King Eumenes II of Pergamon. His love for his brother and successor to the throne earned him the nickname of Philadelphus (he who loves his brother) and gave rise to the name of the city. Philadelphia was located in one of the most fertile valleys of Asia Minor and was a junction of the main roads that connected the lands of Anatolia, which ran eastward from Smyrna and which was based on Pergamon southward. The city is near Sardis and therefore in an area that has been plagued by earthquakes frequently, being especially destructive on the year 17. To become part of the Ottoman empire under the name Alaşehir, was a prosperous Roman city and a Byzantine stronghold against Turkish expansion. It was known for its production of wine and silk. He was one of the last territories to be conquered and as points of Anatolia, suffered the arrival of the Mongols of Tamerlane that swept the city. To reach Alaşehir from Izmir have to go down the road of Ankara and is a good idea to visit Sardis seize the day, since the distance between them is less than 50 Km along a road in good condition. The area is full of vineyards and is known for its wine production of excellent quality and raisins. Not much remains of the old Philadelphia. As in other places that have been inhabited until today, the remains of ancient buildings are scarce. In the city center you can visit the ruins of the ancient basilica of the Byzantine era. They are located in an enclosed park also preserves sarcophagi, inscriptions and various moieties. The place is small and will visit soon. Although there has always been an important Greek colony, the population exchange after the First World War, It took almost all the Greek inhabitants to Athens suburb of Nea Philadelphia.